The exhibit, on view Oct. 19, 2018, through Jan. 20, 2019, is the centerpiece of a Columbus-wide cultural project celebrating the 100th anniversary of the Harlem Renaissance, a cultural movement that resonated beyond the New York neighborhood in which it was born. Paintings, photographs, books, music, films and posters will be included in the exhibit. Haygood (Miami ’76) has been traveling around the country selecting art for the exhibition and also will write the book that accompanies the show and give a lecture at the opening. Haygood has written prize-winning biographies of Adam Clayton Powell Jr., Sammy Davis Jr., Sugar Ray Robinson and Thurgood Marshall, all figures who were touched by the Harlem Renaissance. 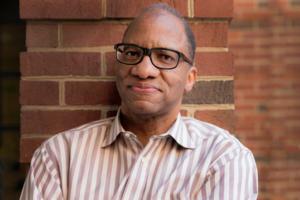 “Wil Haygood has been researching the Harlem Renaissance for quite some time and, as someone from outside the visual arts world, will bring a unique perspective to this exhibition,” said Nannette Maciejunes, executive director of the Columbus Museum of Art. “For me, given my life’s work, this project is a wondrous opportunity, an extension of what I have been doing as a writer and researcher,” Haygood said. Haygood has received some of the nation’s most prestigious honors for his work, including the Guggenheim, National Endowment for the Humanities and Alicia Patterson fellowships. In the fall of 2017, he will be in residence at Washington College’s C.V. Starr Center for the Study of the American Experience as a Patrick Henry Writing Fellow. For more information, visit the Columbus Museum of Art website.